Saturday I had five girlfriends over for a “big girl slumber party”. We had a fantastic time – we ate good food, played some Wii dance, had a craft session in the craft loft and spent the majority of the evening soaking and chit-chatting in the hot tub. 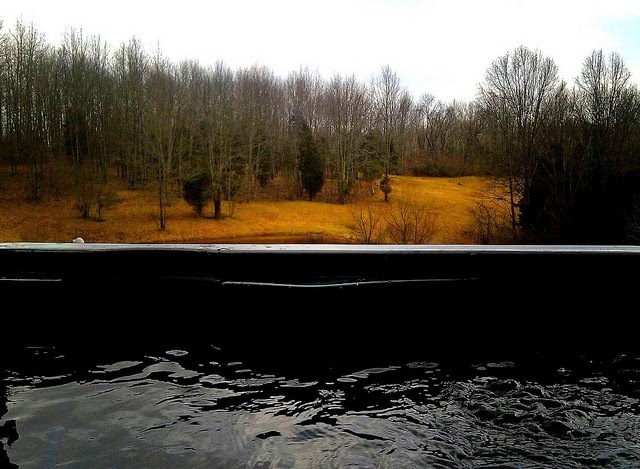 This is the view from the hot tub in the daylight. I can’t wait until the leaves on the trees start coming back. 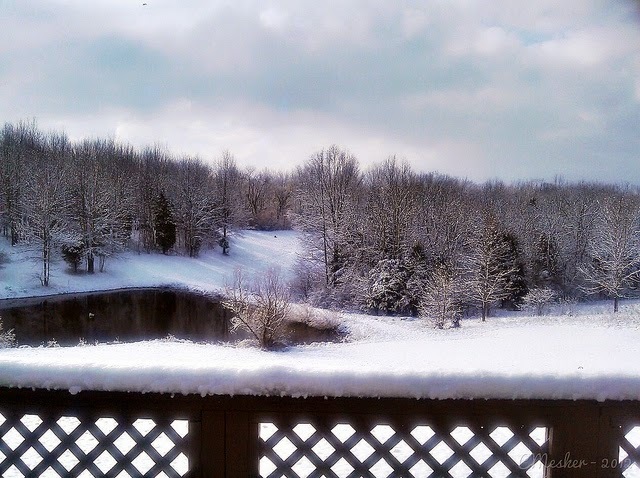 After our 70 degree day on Friday, this is what we woke up to this morning – boo! Pretty, but BOO! But tomorrow is supposed to be in the 60’s so that’s ok.